Mauna Kea is a dormant volcano on the island of Hawaii. It has been dormant since 2460 BC. 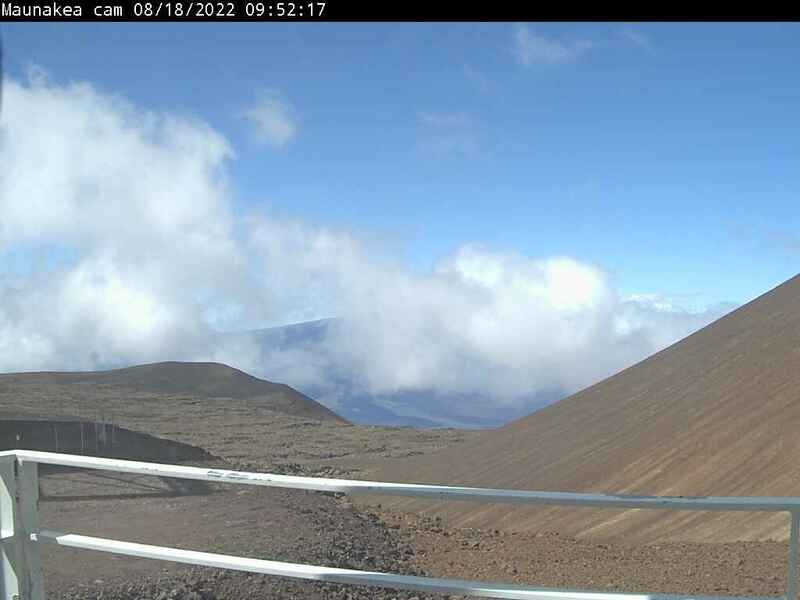 Camera is looking at south sky and Mauna Loa mountain. Camera is located in the Smithsonian Astrophysical Observatory’s Submillimeter Array on Mauna Kea.